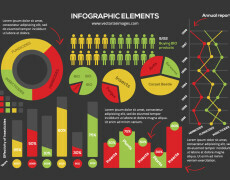 Infographics are a great way of getting information across in a fun and interesting way. To do this they have to be clear and concise which is why using the right vector infographic elements is important. These infographic elements can be manipulated and changed to suit your requirements and they come in many different formats that can be used in Adobe Illustrator or Corel Draw. 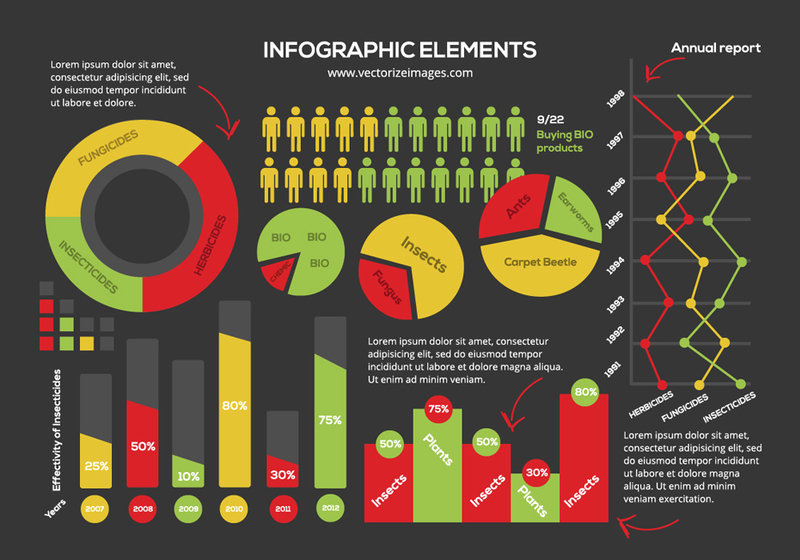 Infographic elements have to work visually and they can make any website or presentation as informative as possible in the simplest way.These vector infographic elements are available to download for free for personal and commercial use.